This past weekend we went over to the Longboat Key area. Since it was Mother's Day, I wanted a nice(r) dinner, but I also wanted it comfortable for the kids. 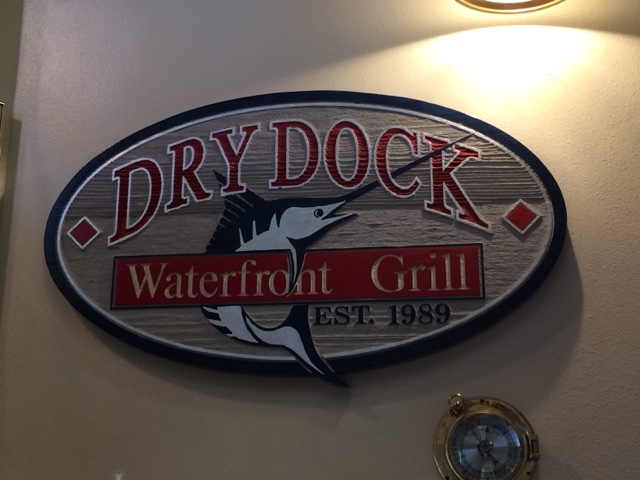 I read great reviews about Dry Dock Waterfront Grill on Trip Advisor, and I'm really glad that we pick this restaurant! We had a choice of seating upstairs/inside or below/outdoors. I'm very happy that we sat outside. The weather was beautiful. 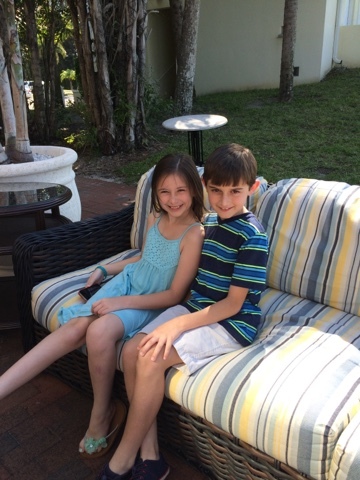 Here are my kids relaxing well hubby and I enjoyed a cocktail. I chose the scallop pasta in a wine and garlic sauce. It was outstanding! 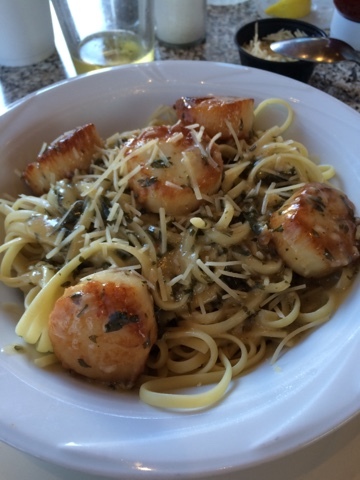 The scallops were fresh and the pasta was cooked perfectly. My husband chose the grouper sandwich, and decided to try a blackened. He said it was excellent and I'm sad I did not get a picture. 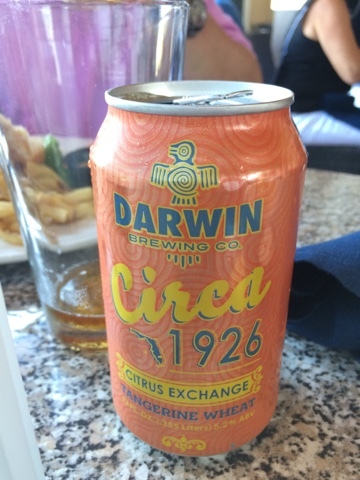 He also enjoyed this local craft beer, Circa 1926.